We have exceptional star-gazing possibilities in the department: 300 days of sunshine per year, un unequalled luminous air and almost no parasite urban light. Saint Michel l’Observatoire, near Forcalquier is an exceptional location for astronomy in Europe. In the 1930s, because urban observatories were already hindered by the lights of towns, the Government decided to install a large observatory in Haute-Provence. A first telescope was installed in 1943 on the Aurifeuille plateau in the Pays de Forcalquier and L’Observatoire de Saint-Michel, managed by the C.N.R.S., was born. It has grown over time, and remains the only one of its kind in the northern hemisphere for high resolution telescope observation. Today there are 13 domes scattered around the oak wood. The most powerful telescope has a 1.93 m diameter mirror. Every year, the astronomers of Haute-Provence uncover new clues to the history of the universe. A few hundred yards from the observatory on the Plateau du Moulin à Vent, the Centre d’Astronomie of Saint-Michel-l’Observatoire welcomes school groups and amateurs. A siderostat with a professional telescope and a multimedia room unveil the secrets of the sky. Telescope observation during the evenings under a star-filled sky gives surprising insight into the Universe. 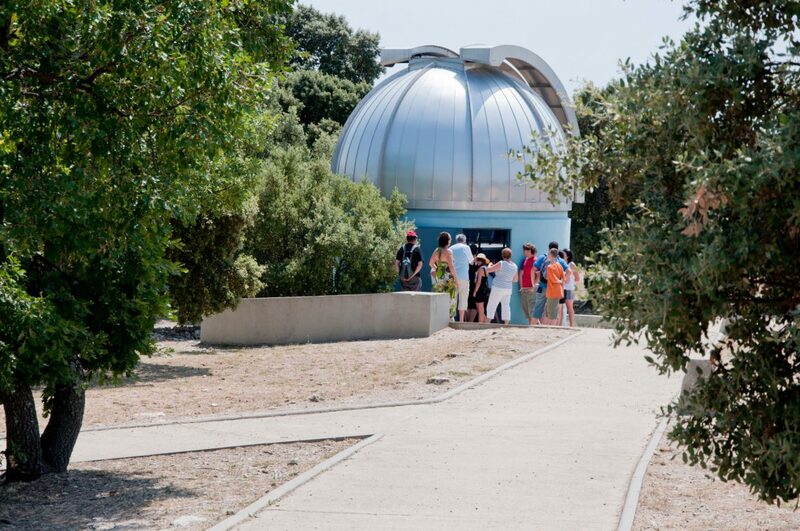 During the summer months, the Eté Astro festival offers discovery evenings, guided tours, conferences, etc.